I am watching this brilliant example of how a long stretch of losses (9 quarters of poor sales performance at Walmart) energized this company that had become too complacent and overstuffed with the wrong talent. Jetblack from Walmart is a brilliant move that demonstrates how Walmart is willing to get outside its comfort zone to grow. With a $50 monthly subscription fee Jetblack has been designed for affluent people who live in apartment buildings with doormen who accept packages. For this hefty fee (4 times the monthly fee for Amazon prime) shoppers will get merchandise delivered the same day, and so much more. The powerful feature I see is the equivalent of a personal assistant who will think for you. Ask Jetblack to suggest ideas for dinner or gifts to be delivered. Gift wrapping and hand written notes are also included --- a nice, traditional touch to complement high tech shopping. I see only one miss in Jetblack. Why is it narrowly targeted to busy moms? 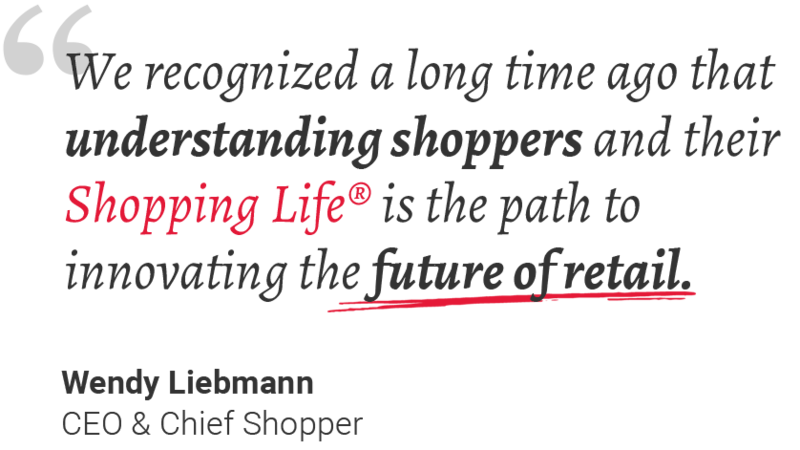 All of our How America Shops® research shows the willingness to pay for time-saving conveniences crosses generations. This busy grandmother/executive welcomes suggestions, delivery and personal assistance for everything! Will I use it enough to pay $50 a month? Let's see if it becomes my new habit.